FWW has a long tradition in the defense business and is a regional business partner of the German Armed Forces and NATO. The FWW product range being military wheeled vehicles and armoured tracked vehicles, and FWW is specialized in high quality maintenance and repair of military wheeled and tracked vehicles as well as complex weapon systems. FWW offers full technical and logistical services of complete vehicles systems including worldwide maintenance, training and spare parts support. 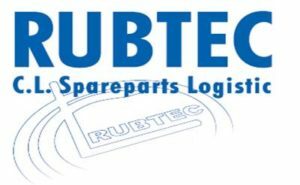 Rubtec A/S is a 100% Danish production Company which supplies the Defence Sector all over the world with high-technology Military products. Rubtec has 28 years experience manufacturing rubber moulded items and rubber to metal bonded items, such as road wheels, track shoes and rubber pads for tanks and armoured personnel carriers. In the creative process and our choice of materials, Rubtec manufactures our rubber products to be used under extreme conditions, such as large variations of temperature. This makes our products long-lasting and able to meet the high standards which our customers expect, while minimizing costs. The last ten years has seen Rubtec move into developing many different metal parts, such as high-quality gun racks and gun mounts which meet the battle needs of armed service personnel. Rubtec maintains production facilities in Denmark, Canada and Germany to give the company added flexibility and high production capacities for all products.